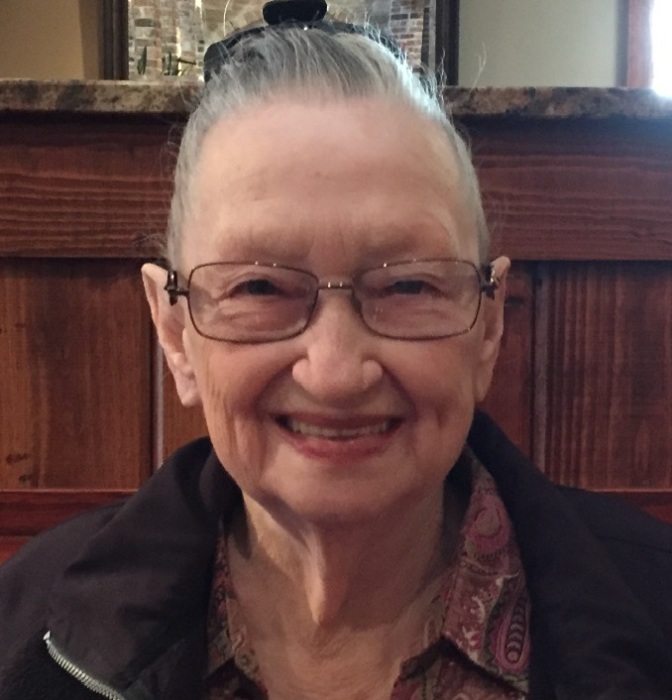 Memorial services for Bonnie Carline Powell, 83, of Hallsville will be 11AM, Monday, August 27, 2018, at Mulberry Springs Baptist Church in Hallsville, with Dr. Danny Warbington officiating. Ms. Powell passed away Thursday, August 23, 2018, in Longview, surrounded by her family. Bonnie Carline Glenn Powell was born April 7, 1935, in Kansas City, Missouri to the late James Carl and Ruth Emily Gray Glenn. She lived in California during her teen years and moved to East Texas in the late sixties. Ms. Powell retired from Winn Dixie Corporation after 26 years or service. She loved camping, fishing, and spending time outdoors. Survivors include her sons, John and wife Cathy Fredericks of Hallsville, Bob and wife Denise Fredericks of Longview; Grandchildren, Brian and wife Kristal Fredericks, Adam Fredericks of Hallsville, Laura and husband Drew Dobbs of Santa Fe, Texas; three Great Grandchildren, Kylie and Blakely Fredericks of Hallsville, and Mackenzie Dobbs of Santa Fe, Texas. One sister precedes Ms. Powell in death. Condolences may be left online at www.easttexasfuneral.com . Mulberry Springs Baptist Church is located at 16376 Hynson Springs Road, (FM 449) Hallsville, Texas 75650.